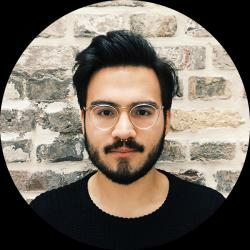 Francisco is the Founder and CEO of cortical.io, a machine learning company that develops Natural Language Processing solutions for Big Text Data. 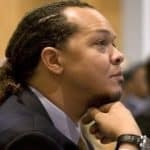 Francisco’s medical background in genetics combined with over two decade’s of experience in Information Technology, inspired him to create a groundbreaking technology, called Semantic Folding, which is based on the latest findings on the way the human neocortex processes information. Prior to Cortical.io, Francisco founded Matrixware Information Services, a company that developed the first standardized database of patents. Francisco also initiated the Information Retrieval Facility, a non-profit research institute, with the goal to bridge the gap between science and industry in the information retrieval domain. Let me introduce you to Francisco Webber, Founder and CEO of cortical.io. He is one of the 70+ speakers who will take the stage at Data Natives 2016. Don’t miss his talk, “Semantic Folding: A new, brain-inspired model for Big Data Semantics” – head to datanatives.io and get your ticket now! 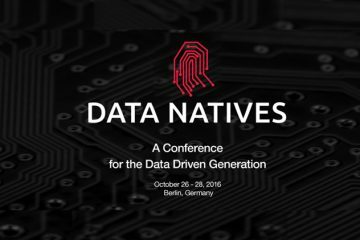 Q: What topic will you be discussing during Data Natives Berlin? I will explore the concept of Big Data Semantics and explain how new technologies that leverage the intelligence of the brain can unveil insights hidden in Big Text Data in a very precise and efficient manner. I will present a new machine learning approach that reproduces the way our brain processes information and makes language computable. Q: How did you get involved with machine learning? When I founded my first start-up (Matrixware Information Services) and worked with patent search and databases, I realized that the state-of-the art search tools were not delivering satisfactory results. In fact, professionals looking for very specific information within patent databases, technical documents or scientific publications were quite desperate because there was no tool that was half as satisfactory as their own brain. This is the time I began to think about an intelligent search engine, what it would look like, what would be the mechanism behind it. Intuitively, I thought such a machine should somehow mimic our brain, but I was at a loss about how to achieve this goal. Q: Where did you find the inspiration for ‘Semantic Folding’? I read a lot about neuroscience, trying to build a bridge between neuroscience and computer science. When I discovered Jeff Hawkins’ book On Intelligence, I felt I had found something that could be applied to language processing. In fact, Jeff’s theory about how the brain processes information was the missing link to transpose the brain’s natural intelligence to the understanding of language by a machine. Q: How is data being applied to create change in this field? 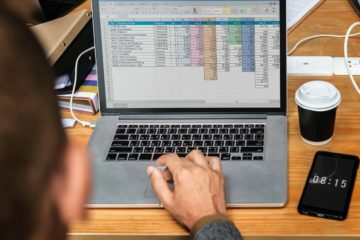 To sort and make sense of the gigantic amount of data created every day is impossible with current technologies, which largely rely on statistics and necessitate huge amounts of processing power. Take a bank, for example, which must comply with tight regulations and risk huge fines if it fails, say, to detect fraud by an employee. This bank needs a system that is not only able to monitor 100% of all messages sent and received by the thousands of employees worldwide, but also understands their content in order to identify them as a threat if necessary. Lists of keywords, word count statistics and linguistic rules just don’t work any more. This bank needs an intelligent system that screens all messages quickly and efficiently as they come in and that does not require absurd amounts of computing power. This bank needs an accurate system that does not generate expensive false alarms; a system that does not need to translate messages into English in order to understand their meaning. The only way I know of to achieve these goals is to monitor the emails with the intelligence of an artificial brain. I am talking of making a computer system use the same principles as the brain to understand the meaning contained in text. This is what is called machine intelligence and is the next step in the evolution of machine learning, away from large training data sets and complex rule sets, towards simple, straightforward comparisons of similarity in the meaning of text. 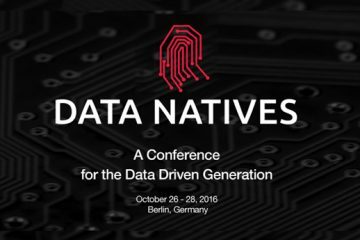 Q: What do you hope to gain/learn during data Natives Berlin ? 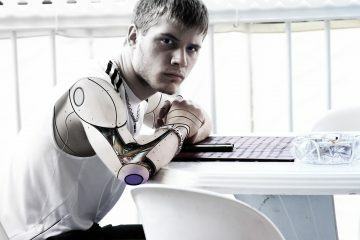 The field of Artificial Intelligence (AI) is monopolized by big names like Google and Facebook. They invest huge amounts of money in AI research and have become the reference in that field. The media tend to represent the approach they focus on (Deep Learning and Neural Networks) as the holy grail of AI. My goal at Data Natives Berlin is to demonstrate that there are other approaches worth considering. 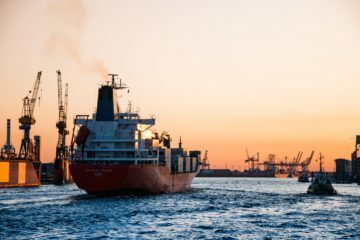 These don’t yet benefit from the attention of the tech media, but that have already proven their effectiveness when applied to real life business cases, especially in the field of Natural Language Processing. Semantic Folding, the theory behind Cortical.io’s approach, belongs to these promising new paths. Q: Why is Berlin a strategic market for showcasing data-driven technologies?